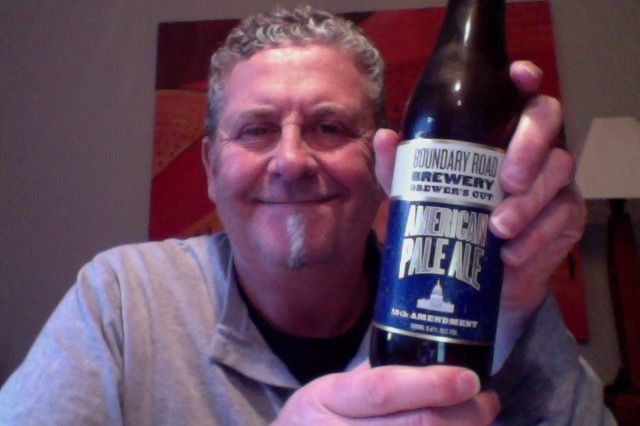 or more properly Boundary Road Brewer’s Cut 18th Amendment. Not strictly a ‘draft beer’ in the sense that this is a ‘big brewer’ making beer in a different guise. 500ml Bottle that is 6% ABV, that makes it about 180 calories a serve size, 38 IBU things on the scale , and in the bottle 2.4 standard drinks. 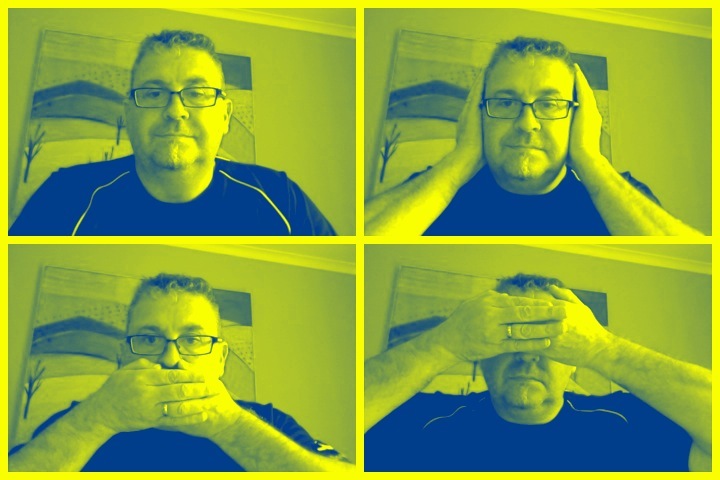 A man about to have a commercial beer…. The ban on alcohol meant you couldn’t get a decent beer anywhere, unless, of course, you “knew a guy”. This A.P.A., brewed in honour of your friendly, local bootlegger, is loaded with all-American hops, notes of citrus, and a crisp, bitter finish. Enjoy it quick before someone makes fun illegal again. Aroma on opening is a rather dull thud of hops and not much else. Pour is a lovely caramel brown color and it has a stark white head that is just the right size, and persistence. Not picking any particular aroma in the glass. Surprisingly then the caramel is extremely nice and full, the mouthfeel is decent, the finish fades somewhat to a itchy dryness. There is a lot of carbonation in this giving it that slightly uncomfortable mouthfeel. I am enjoying this though, it is easy drinking, the hop notes are low, the caramel level high, the finish just a dab at the back, leaves a lovely lacing in the glass too. If anything I would have though this more an English Bitter it has a lot of things that remind me of that style and the low hop presence does not remind me of a Pale Ale. Would I share with a friend on a porch and set the world to rights? I’m tempted to say that I’d take some to a party, there is a lot to like about this as a beer and I’d be happy to have a couple, I think that the real craft snob might sneer, but they’d just be missing out. Music for this, as you know like beer I’ll try anything once, this time it is time for ” Iron Maiden ” and ” Book of Souls ” on Spotify Iron Maiden are an English heavy metal band formed in Leyton, east London, in 1975 by bassist and primary songwriter Steve Harris. 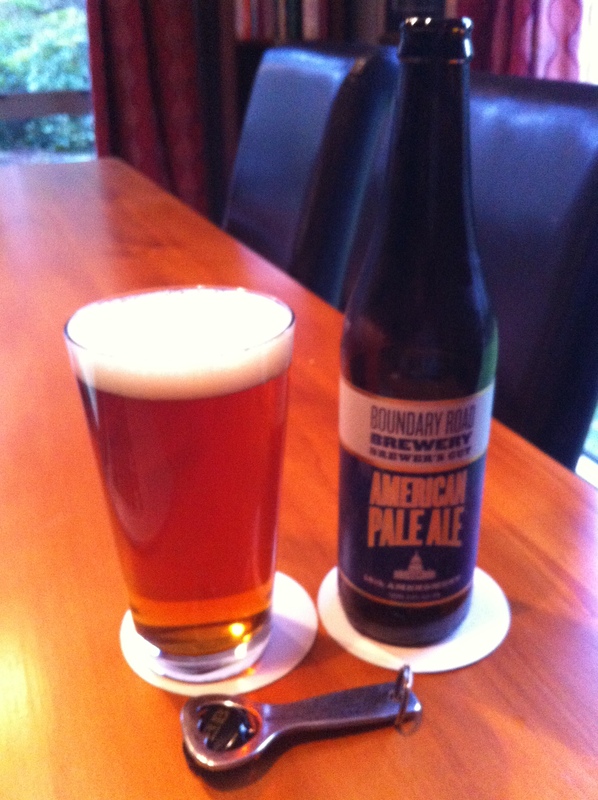 This entry was posted on September 11, 2015 by Philip Walter in American Pale Ale, Beer, Beer of New Zealand, Beer Review, Boundary Road, Craft Beer, Critic, Justsaying and tagged 18th Amendment, american pale ale, Boundary Road, Boundary Road Brewer’s Cut 18th Amendment, Boundary Road Brewery, BRB, Cascade hop, Pale Ale.